Lighting my house with yesterday’s LED tech that doesn’t cut it anymore. I’m okay with that- for the next 22 years. The Philips L Prize ‘A bulb’. And yep, there it was for $49.95. It was positioned in the back corner in its own display, almost as an after thought. And as I expected, I saw a few tumbleweeds passing by. $49.95 is, of course, a steep price. But front and center in the lighting isle was a separate LED bulb display with another Philips LED lamp, that walks and talks just like the L Prize bulb. This one is called an AmbientLED. 33% lower efficiency than the cutting edge L Prize bulb. Lasts for 22.8 years, instead of 27 years. A bulb that will last till the year 2035 is efficient enough for me. The price after the boldly advertised $10 discount… $14.97. The future had arrived and was already steeply discounted. So I picked one up to try out in one of our lamp fixtures at home. 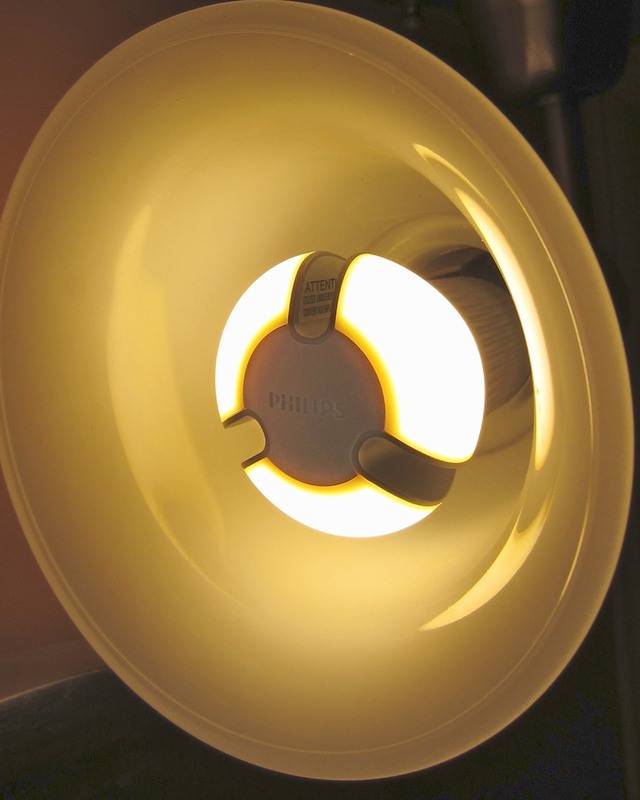 So why all the big fuss about the ‘A bulb,’ when Philips already has their AmbientLED out there at a much better price? The L Prize lamp is more efficient, and its newer tech is supposed to provide a warmer light. And it’s made in Wisconsin. Look, you just don’t need the Lexus of light bulbs. I think the runner up model is the place to start. And in this economy, shopping for price is a reality most Americans still have to grapple with. It’s simply time to start buying LED replacement bulbs. They’re good for the environment. They’re more expensive, but they save you money over the long run. And very soon, you’ll have to make the switch, because many incandescent bulbs are being phased out. So the headline here is not a scary one. It’s pretty reasonable. You get to keep your lights on, but you’ve got to upgrade. Like it or not, you need to keep up. Anyone else out there made the switch yet?